Vast sites of polytunnels dot the Columbian countryside. Inside, row upon row of carnations wait to be picked. The proximity to the equator means these flowers can be grown year-round supplying an increasing demand across the world for cut flowers. The flowers have no idea about their final destiny. Once picked they enter a complex supply chain involving days spent in cold storage and thousands of air miles. It’s a long journey before these carnations end up in a supermarket or on a petrol station forecourt. By now the carnations are feeling tired. Wouldn’t you? They make a forlorn sight displayed next to the barbecue briquettes which were once incredible towering tropical hardwood trees. These flowers are dirt cheap, picked up for a couple of pounds. And the reasons why a bunch of flowers flown half way around the globe can cost the same as a cup of coffee? Cheap labour and the scale on which they are grown, that’s why. And once they reach the point of sale they are treated like the cheap commodity these flowers have become; shoved into ugly plastic buckets, often deprived of water and squished in so tightly the flowers become misshapen. Scent isn’t top on the list of requirements for a large scale commercial flower grower. They need flowers which are robust enough to withstand the supply chain and flowers which have long stems to appeal to florists. Plant breeding to enhance these characteristics means that the perfume carnations used to be known for has disappeared. And now we, the consumer, can buy a genetically modified version, just so we can be treated to a purple carnation. It’s not just carnations whose reputations are suffering at the hands of the global flower trade. Roses were once thought of as the essence of beauty. You would be forgiven for thinking why, if the only roses you had ever seen were the ones for sale on most high streets. Varieties bred for the cut flower market have tightly packed buds which are much more able to cope with the journey from Kenya but the combination of plant breeding and the effects of cold storage mean these roses never actually open. As a result, shop-bought roses rarely capture the blowsy, fulsomeness of the English cottage garden with which they are so inextricably linked. None of this is the fault of the carnations or the roses, as they sit in their plastic wrapping waiting to be plonked into a shopping trolley next to the loo roll and baked beans. The carnations have heard stories, though. Tales of their cousins, pinks prized for their delicious scent and fancier flowers. Rumours of flowery utopias abound, places where flowers are grown with love and passion. They are nurtured with the idea that they will bring a smile to someone’s face, that the surrounding environment won’t suffer, even that the flowers could be good for bees and butterflies, providing a food source in between pickings. There are places, small scale flower farms, back gardens and allotments where tapestries of colourful flowers are grown. Ammi, cornflowers, snapdragons and cosmos and so many more. It’s all a far cry from the chemically managed monocultures these carnations grew up in. If these carnations could have one final wish before they end up in the bin with the rest of the household rubbish it would be that flowers and the planet were given more respect. Could it be possible for a wave of gardeners to start growing their own cut flowers? They could become in tune with the seasons, growing what they love and not what is dictated to them by big businesses. Could it be possible that scent and beauty top trump stem length? Might it be that one day these flowery utopias become the norm? 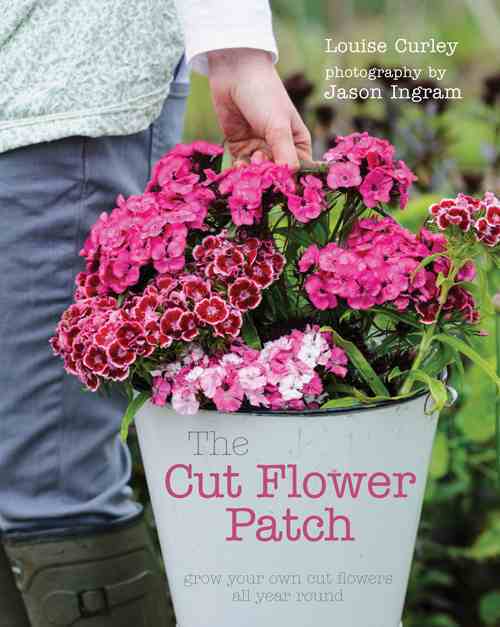 If you’re passionate about making a difference and growing your own cut flowers take a look at my new book, The Cut Flower Patch, published by Frances Lincoln. You really don’t need a lot of space at all to have some of your own flowers to pick and they’re easier than growing fruit and veg. The book is based on my own experiences of growing flowers on my allotment and is available online from the RHS bookshop, Waterstones and Amazon or from your local bookshop. Sowing Craspedia Seeds In Modules. Early Sowing Of Tithonia Seeds. 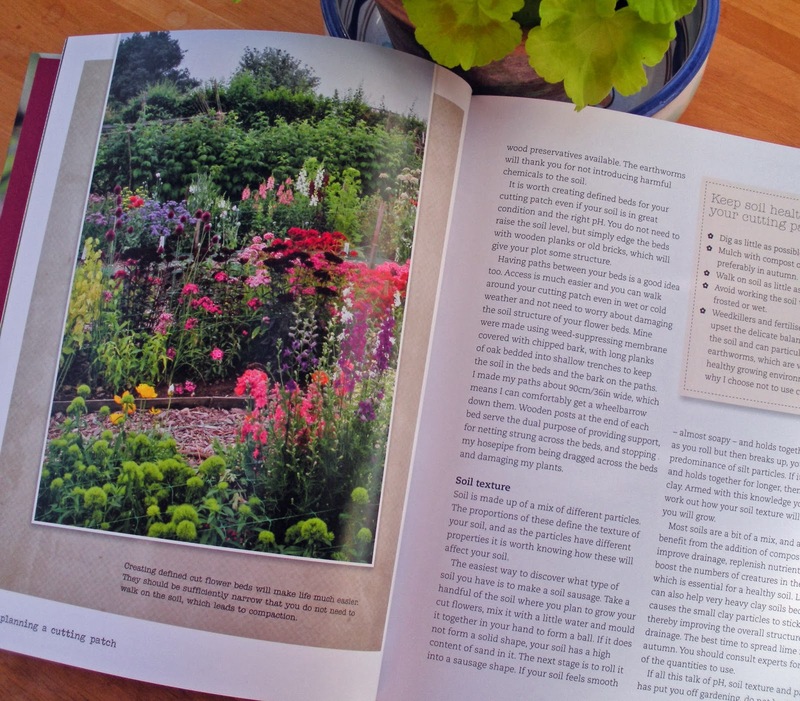 PS – I’ve just ordered the book – seed order will no doubt follow! Hi Vintage rock chic, Wow! thanks for ordering the book. If you’re looking for flower seeds Higgledy Garden is the perfect place. He has a fab selection to choose from. 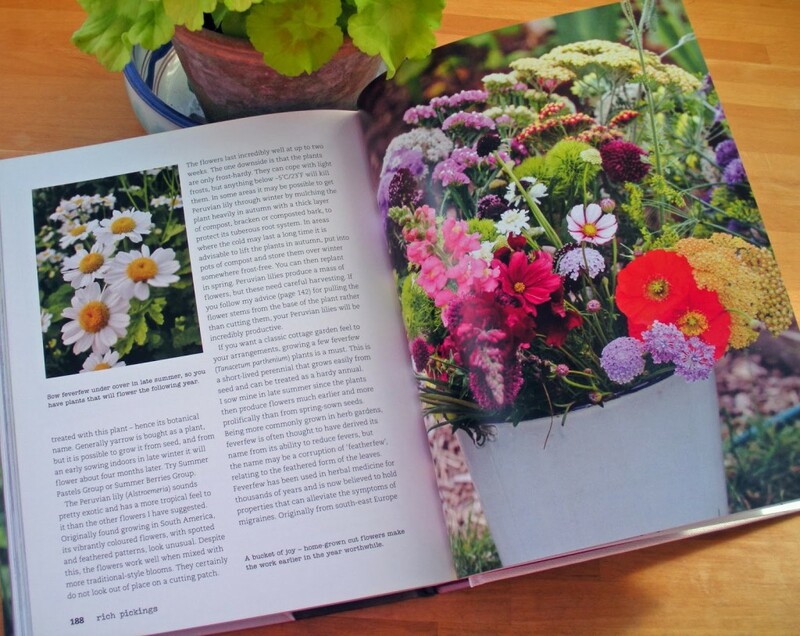 Maybe I’ll try growing my own this year – and if not I’ll just look at the beautiful inspiration in the book.